Acrylic "table rock" $60. Original $800. 35x45"
table rock 11 acrylic $60. Acrylic Linville Falls $60. Original $700. 17x26"
South Fork Ridge egg temp limited ed. S&N $40. Gaither's winter limited ed. S&N $40. Corn Crib W/C a few signed left $35. Mainstreet Hickory w/c Limited. $40. Catawba County w/c lmtd ed. $35. Table rock and hawksbill 7 1/2x 20" $75. Price Park acrylic 11x15" $40. 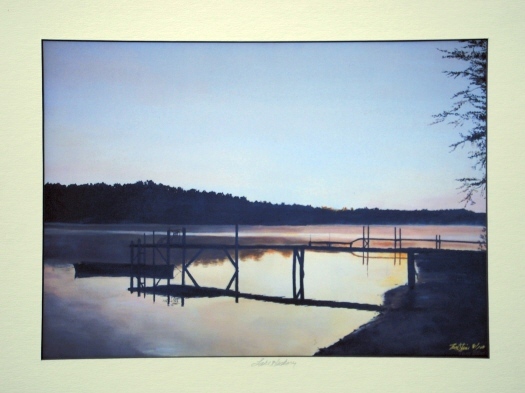 Lake Hickory image 10 1/2 x 15 $40.